Bhutan Drukpath trek is regarded as one of the finest treks in Bhutan. 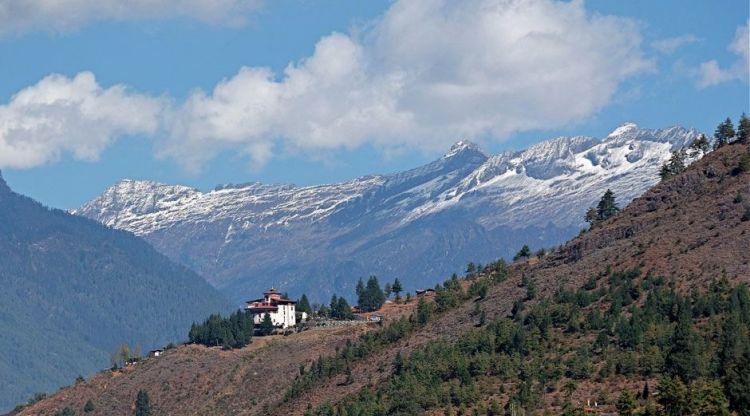 The beautiful views of natural landscape, the Himalayas and romantic walks through river valleys and lakes makes it an ideal trek for anyone interested in getting the best of Bhutan. Enroute we will pass the Jili Dzong, Taktsang Dzong crossing Phume La (4210m), Jili La (3490m) and Rawana (3780m) passess. You will get to experience the stunning views of Jimgelang Tsho Lake and Janetso Lake where much of our camping will be organized. Our trip ends in Thimpu, the financial and cultural capital of Bhutan. In Thimphu we will have plenty of time to sightsee the landmarks including Tasichoedzong and Punakha Dzong. The highest altitude we will reach during the trek is 4210m. The best season for trekking is between March-June or September-November. This is a camping trek. Day 01:Your arrival at Paro Airport by Druk Air. Sightseeing Paroo/n at at hotel. Day 02:Paro to JeleDzongo/n at tented camp. 7 km. Day 03:JeleDzong to Jangchulakhao/n at tented camp 10 km. Day 04:Jangchulakhato Jimilangtsoo/n at tented camp 11 km. Day 05:Jimilangtso to Simkotao/n at tented camp. 11 km. Day 06:Simkota to Phajodingo/n at tented camp 10 km. Day 07:Phajoding to Thimpuo/n at hotel.